Attack 2 : Woo Woo Woo! 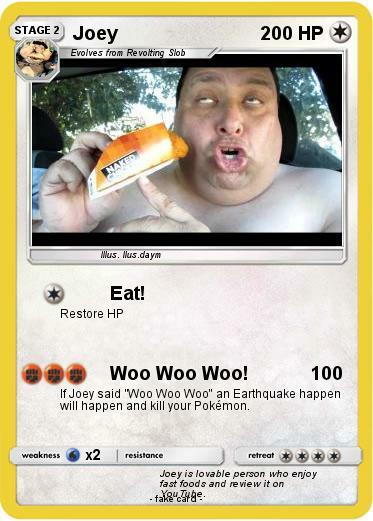 If Joey said ''Woo Woo Woo" an Earthquake happen will happen and kill your Pokémon. Comments : Joey is lovable person who enjoy fast foods and review it on YouTube.